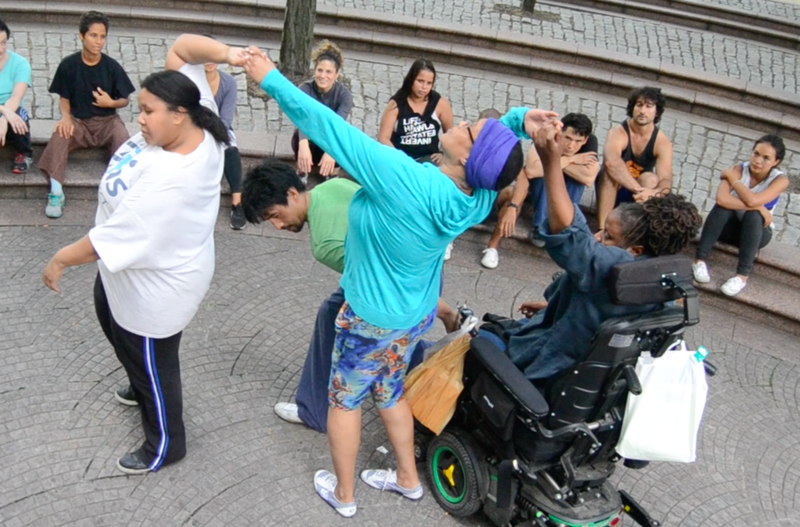 Who: 20+ friends, neighbors, Parcon students, passersby, and contact Improvisation community members. What: Share Parcon 101 is the pilot for the Parcon Lenses, an easy way to teach people how to do Parcon. Participants received a double sided flyer that contained all the steps for teaching Parcon to another. "Movement is the flowing of energy. Energy in concert with one another is synergetic. How we move isn’t as important that we move with the awareness of ourselves and others. There is no judgement just folks moving in a tuned up way in a safe place. We all share the same the space and thereby can equally honor each ones presence and right to be in the arena Parcon opens.